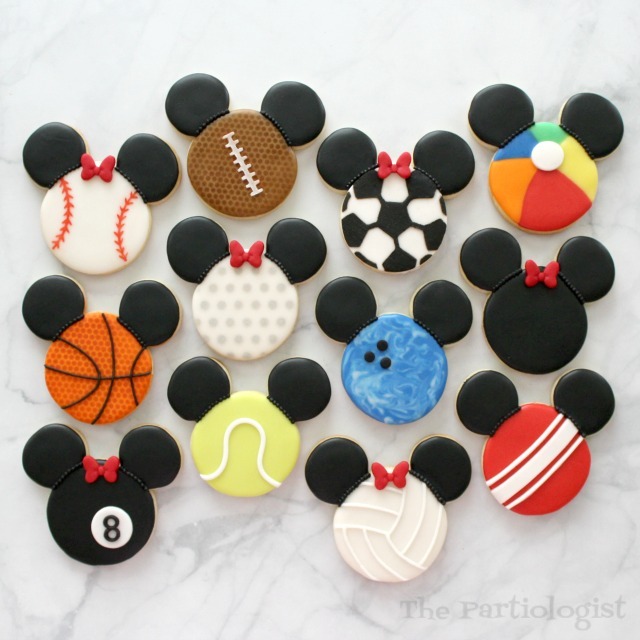 The Partiologist: Disney Themed Sport Ball Cookies! 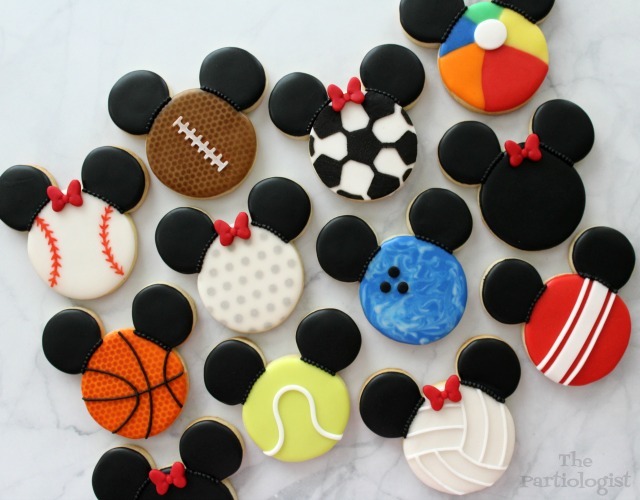 Disney Themed Sport Ball Cookies! I'm better at making sport themed cookies than I am at playing sports. And I'm okay with that, in fact, I don't even care that I was never good at sports. I have a few stories I could tell just to really let you know how much I didn't care, but I'll spare you the details. 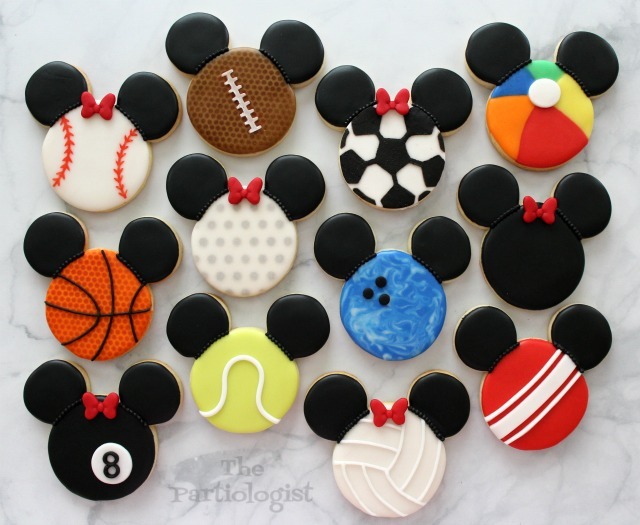 I won't spare the details on the Disney Themed Sport Ball Cookies! Do you have a favorite sport or are you better at making cookies? Sports are a huge part of Disney, did you know? Wouldn't these be perfect for ESPN Wide World of Sports at Disney? 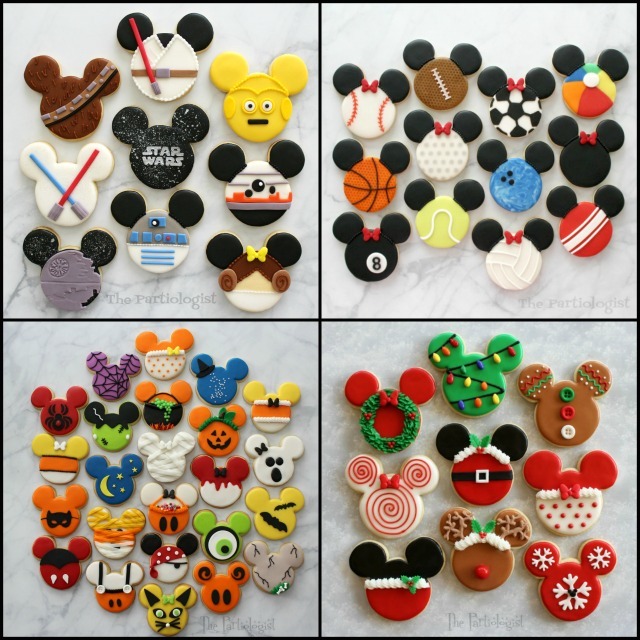 Now I'm wondering if you can identify each sport Mickey/Minnie is representing? I'm not sure if Beach Ball is a sport, but it's probably the sport I'm best at. Like how hard is it to hit a Beach Ball around? I'm pretty sure you'll know most of the sports, maybe just one might make you wonder. Croquette Mickey! Did you guess it correct? I love sports as long as I don't have to play. Or in some cases, watch. I had a BALL with Disney! Who knew you could do so much with Mickey ears??! These are so creative!!! And for some reason now I feel like I want to go bowling. from,twobeautifulgirls. Collection"!!! 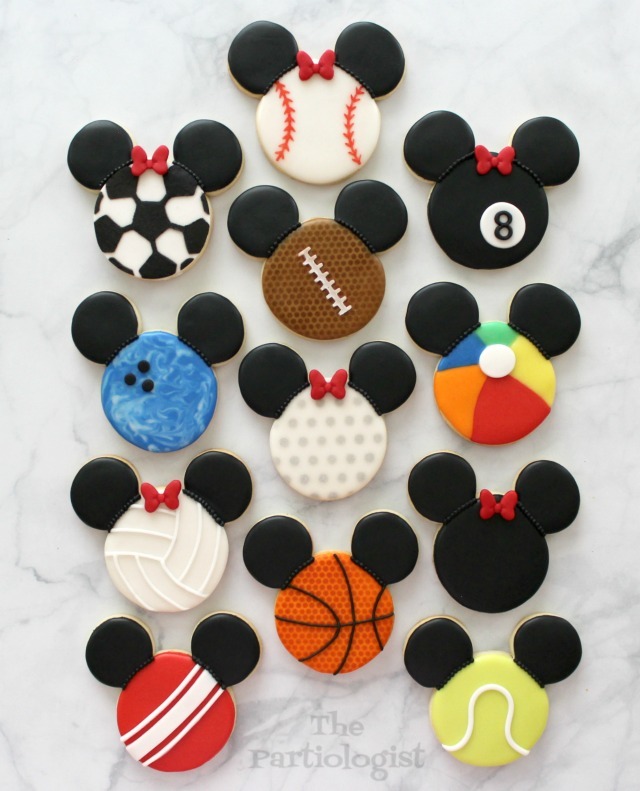 I was going to mention my favorite sport cookie and I couldn't even pick because they are all so cute!!! Keep up the collection of FUN IDEAS!!! Thanks so much, happy you are lovin' my Disney collections! WHAT KID OF ANY AGE WOULDN'T LOVE THESE??? SO CREATIVE AND WONDERFUL! THEY MAKE ME HAPPY JUST LOOKING AT THEM! I agree - they are adorable!